Online ordering menu for STELLA PIZZERIA. NOW OWNED BY THE COMMAGERE'S Welcome to Stella Pizzeria & Restaurant!! We offer a wide selection of gourmet dishes to satisfy your palate. 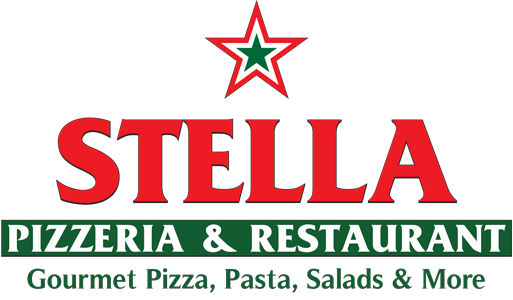 Using only the freshest ingredients, Stella serves delicious Pastas and Hand Tossed Gourmet Pizzas,Sandwiches/Wraps, mouth-watering entrees, desserts, and much, much more. Come visit us because we will always treat you like family and you will LOVE our food. Try creating your own pizza or choose one of our gourmet pizzas such as the The God Father ,Chicken Spinach Alfredo, and El Fresco . Conveniently located just 1 block North of Clearview and W Esplanade Ave. We're just minutes from Lake Pontchartrain. ORDER ONLINE for CARRYOUT, DELIVERY, or even DINE-IN!